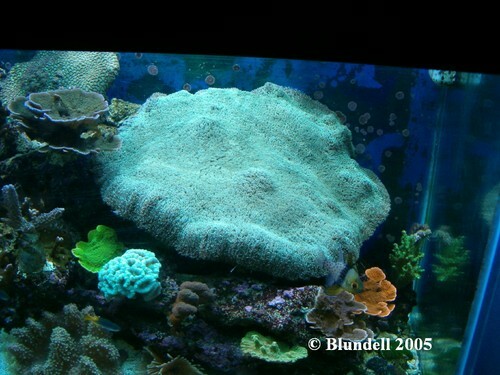 This article is simply my narration of thoughts on showpiece items found in the home aquarium. This topic came about while I was recently discussing (and bantering) the preferences of fish vs. coral vs. invertebrates (for about the one millionth time). This topic has acquired more of my attention after several conversations with Anthony Calfo regarding his absolutely fabulous article Reef Trendy (Calfo 2005). What I and many others have come to learn and witness is that each hobbyist has their own specific item(s) they love. Showpiece items are best described as simply stating the term “showpiece”. What they are and what they do is simply catch your eye and make you look at them. Using basic artistic rules of placement, symmetry, color, texture, and size the home hobbyist can bring out their favorite items as an “attention getter”. For this reason many people like to have that one key item upon which they fixate their attention. And really, the idea is that you will as well. One the other side of this approach is the idea of eliminating or preventing something from standing out. The idea here is to remove the “wow factor” from the aquarium and leave the “appreciation factor” as the overriding tone. If you aren’t familiar with these terms and concepts, that is okay. Basically these terms are used as secondary adjectives to describe “artificial” and “natural” looking aquariums. While natural looking aquariums are undoubtedly preferred by the author, they will not be discussed in this article. Instead what is shown here are the principles and examples of items known as “showpiece items”. From an artistic point of view some aquarium inhabitants seem to fit perfectly in the mold of showpiece. This is exactly what many hobbyists (although not the author) are looking for. This very large sect of the aquaria market has driven the need for specialty stores. Most of these stores are on-line vendors who specialize in the “rare” items (although over-priced and cleverly marketed may be a better a description). 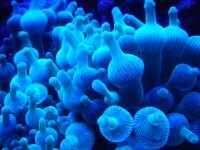 However other showpiece items may be commonly found in home aquaria. The classification of showpiece item encompasses a very large range of organisms. These organisms typically feature colorful coral, colorful fishes, or a specialty item (seahorses, octopus, sharks, clams, etc). Using these organisms as a showpiece item usually involves using some of the following rules. Pictured here is quite possibly the largest Hydnophora sp. seen by the author in a home aquarium. 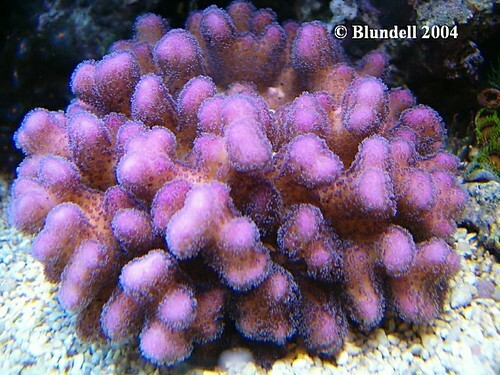 Taking up nearly half the tank, this coral certainly gets attention. In other words, it is all about presentation. The most important aspect of presentation is line of sight. The item has to be somewhere where it can be seen. I’m amazed at how many people set up their aquariums already knowing to leave a place in the middle of the tank (left to right) and close to the top of the tank empty and ready to perch the prized item. 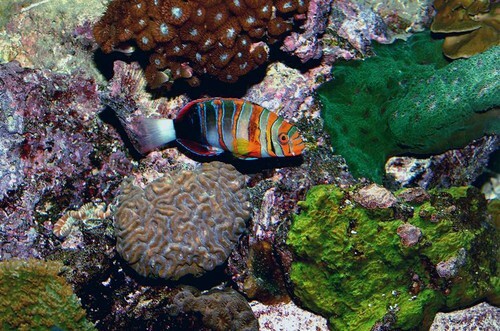 Very rarely would someone take their most colorful coral and place it on the back side of their aquascaping. In fact if they did it would no longer be classified as a showpiece item. The second item to consider is balance. The item can not look out of place but must instead enhance the setting it is in. 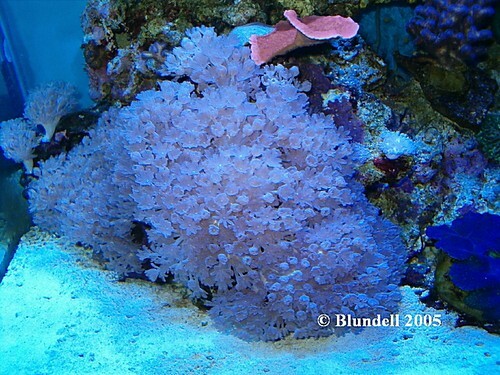 What is meant by this is that a very colorful sps coral would not make a good choice as a showpiece item in a predator fish tank that contains no other corals. 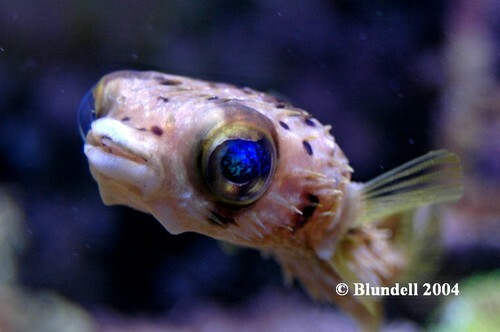 Pufferfish often make up in personality what they may lack in color. 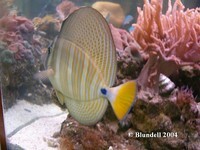 These fish are nearly always the attention getter in their respective aquariums. Other showpiece techniques that we often see in the hobby are color and texture patterns. This is widely known and most people have heard the adage “color sells” in this hobby. In fact that is certainly the case. When you take a colorful item and combine that with a pattern or texture you naturally create something artistic. It is important to remember that these guidelines apply to not only corals, but to hundreds of fishes as well. 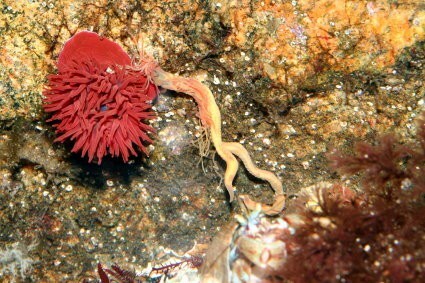 Shown here is the only rainbow gorgonian seen to date by the author. Whether or not this coral is rare or common is still unknown to the author; but one thing I’m certain of is that this coral is beautiful. 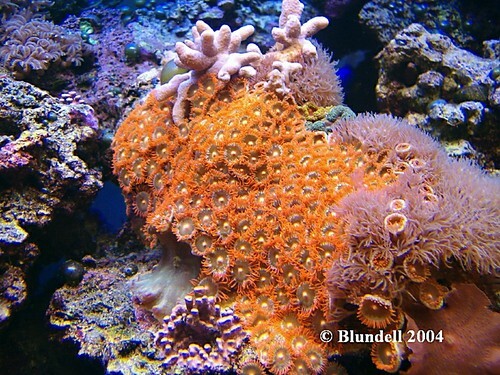 Photographed here is one of the author’s favorite corals. The shape and texture of this plating Montipora sp. is fascinatingly artistic to say the least. Another facet to consider regarding showpiece items is movement. In photography this is usually accomplished by spacing and lines. In other words you give the appearance of movement. In the home aquaria this is vastly different. 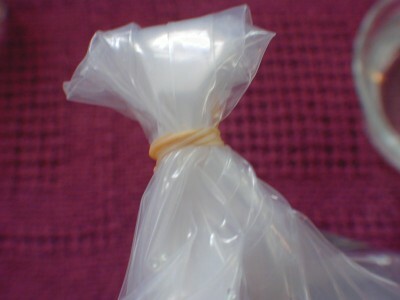 Instead of an appearance the showpiece items may in fact be moving. Our tank inhabitants often swim, pulse, sink, sway, bob, twist and turn. In this written article those items may not be easily portrayed but do know that the aspect of movement greatly contributes to the appeal and presentation of item. A picture may be worth a thousand words, but a video is worth a thousand thoughts. 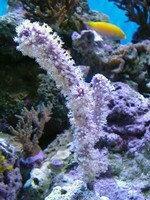 While considered by many aquarists as boring corals, this pom pom xenia is unbeaten in motion. While a picture may not look interesting, watching the coral in motion is absolutely mesmerizing. In conclusion I think showpiece items can be simply classified as what it is and how it is presented. The question which you need to ask yourself is “do I really want showpiece items?”. 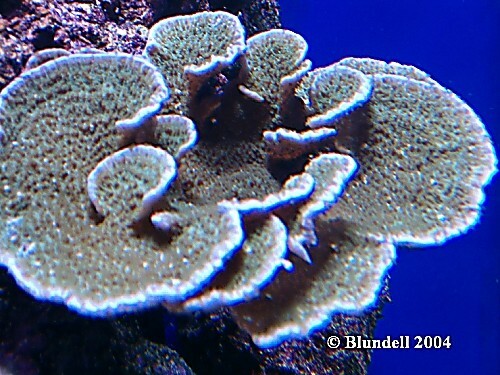 A coral as beautiful as this Montipora sp. photographed in a Boise ID home aquarium is enjoyed by everyone, including the author.